The Larson Electronics HAL-24-2L-LED-BMSW-BL Hazardous Area LED Light Fixture is U.S./Canada UL Listed Class 1 Division 2 Groups A, B, C and D - UL 1598A listed, has a T4A temperature rating and ideal for hazardous locations where flammable chemical/petrochemical vapors may be occasionally encountered. The HAL-24-2L-LED-BMSW-BL fixture is a 2 foot long, 2 lamp, UL listed Class 1 Division 2 Groups A, B, C and D hazardous area LED light that takes the reliability and efficiency of a fluorescent fixture and adds even longer lamp life and efficiency with high output LEDs. This fixture is T4A temperature rated and comes standard with our high power 14 watt LED lamps. The lamps are protected by a powder coated aluminum frame and shatter and heat resistant clear glass lens secured with four zinc coated steel draw latches. The fixture is constructed of copper free aluminum alloy and powder coated. The lamp reflector is corrosion resistant heavy gauge aluminum and coated with a high gloss reflective finish. 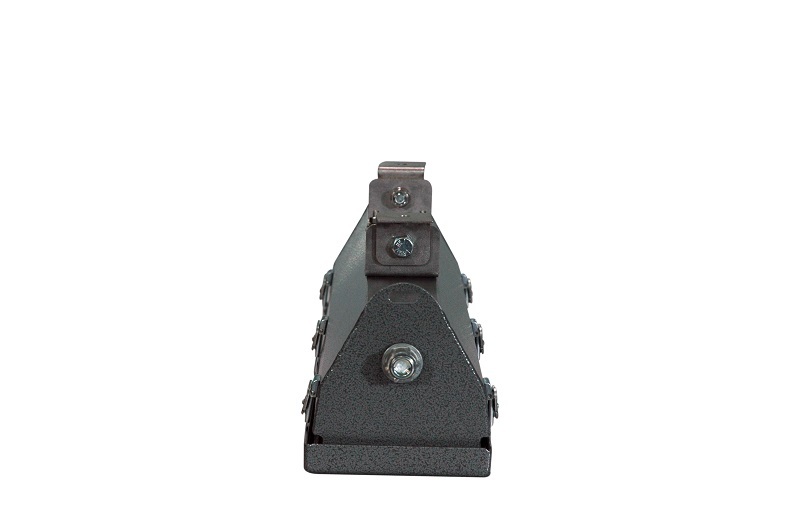 This fixture can be configured to run on 120 to 277VAC as well as 12-24VDC and is U.L. 595 and UL 1598A Marine Type approved for use marine environments. The HAL-24-2L-LED-BMSW-BL is weatherproof and provides operators in hazardous locations with a highly efficient, reliable and affordable lighting solution for open areas where flammable chemicals and vapors may occasionally be present.